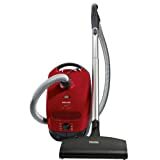 The Miele Titan Vacuum Cleaner is Extremely Lightweight, Made to Last the User an Average of 20 Years, Sports Miele's Extra Large G/N Bag, an SEB217-3 Powerhead, a Parquet Floor Brush and More! The Miele Titan is a true dream come true. 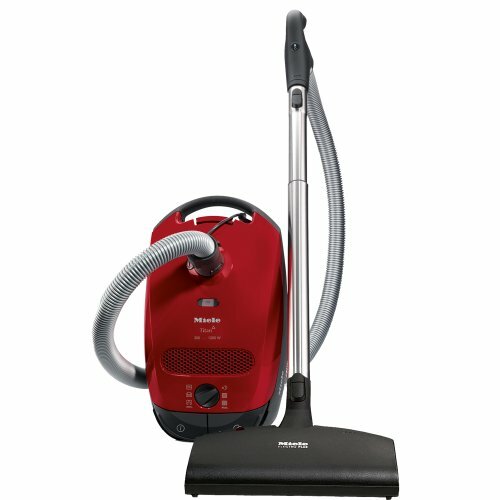 The Miele Titan S2181 uses Miele's 1,200 Watt Motor found on all other Miele Vacuum Cleaner Canisters providing the user with plenty of power. Electronic suction dial is located at the back of the machine, Settings include drapes, furniture, throw-rugs, quiet setting, Large area rugs and wall to wall carpet/bare floors. Controls range from 200 Watts to 1200 Watts. The Miele Titan uses Extra-Large Miele's G/N Vacuum Cleaner Bag which is a Self-Sealing 9-Layer bag that fills up tight and is resistant to breakage from nails, glass or screws! The Miele Titan is extremely lightweight and the wand stores at the back of the machine for easy storage. The Miele Titan comes packed with an Electric Crush-Proof Ergonomic and a Vario-Clip located which stores your included Crevice Tool, Upholstery Tool and Dusting Brush on the machine. The Miele Titan also comes with Electric Stainless-Steel Telescopic Wands that easily connect to the Powerhead and hose with a simple click. 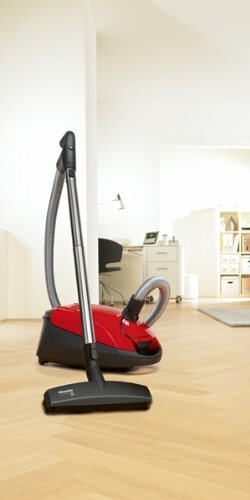 The Miele Titan's wands and hose have Quick-Disconnect Feature which means there are no external wires outside the wands, everything is integrated and easy to connect. The Parquet Floor Brush is ideal for all smooth flooring such as wood or tile. 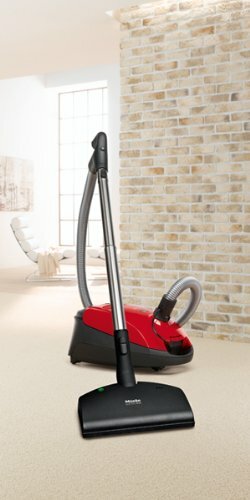 The Miele Titan comes with the Miele SEB 217-3 Powerhead which is perfect for cleaning medium to low pile carpeting. 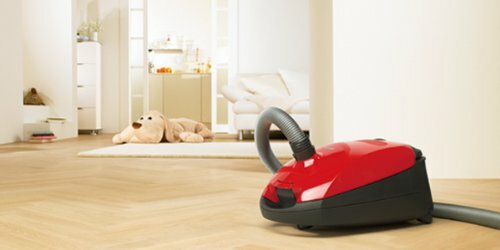 The Miele SEB 217-3 Powerhead can also be turned off to be used on bare floors and since the Powerhead has all-rubber wheels you will not need to worry about it scratching your floors. 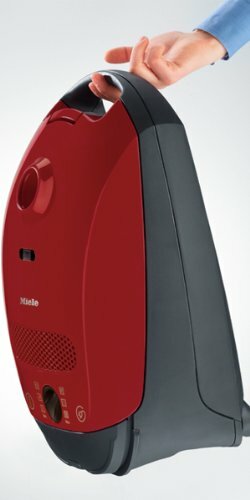 The combination of the Miele Hyclean Dust Bag and HEPA Filter ensures that only HEPA Certified clean air is coming out of the machine which is great for allergy and asthma sufferers.